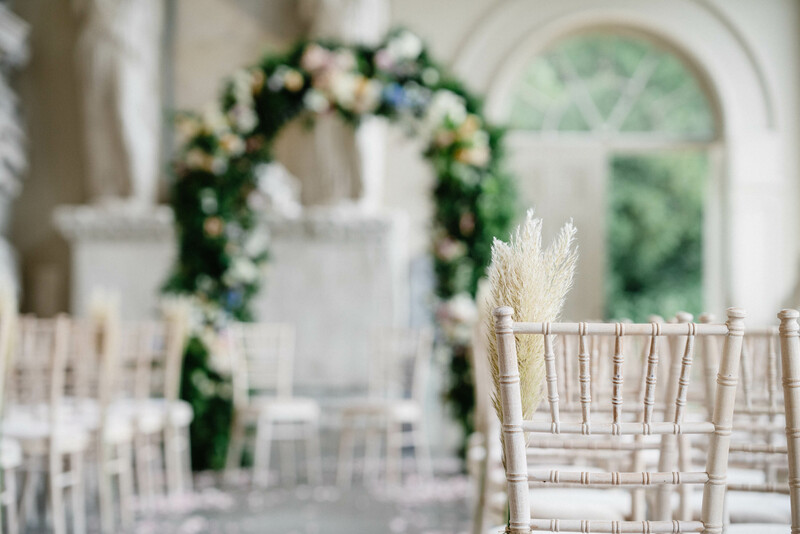 A venue like Ayhnoe Park is so unique that any decorations and especially flower arrangements need to be carefully planned out. 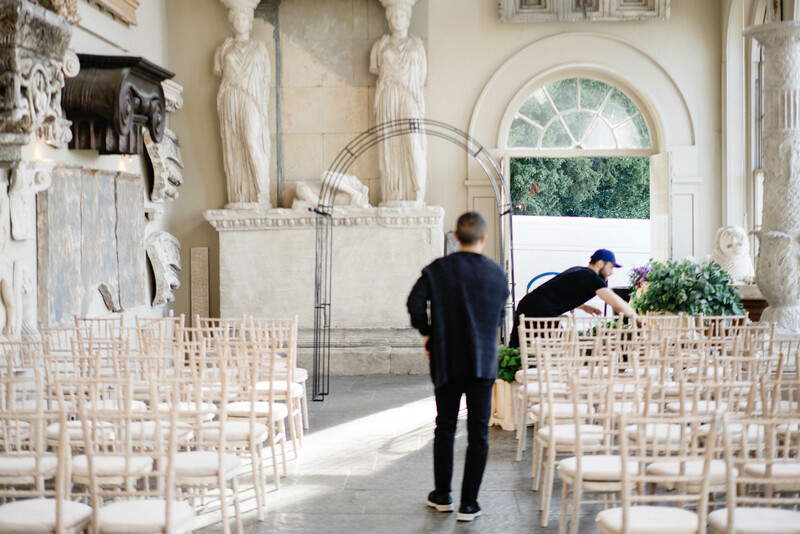 Our lovely couple were looking for a statement piece for their ceremony and decided to have a big flower arch to crown their special day. 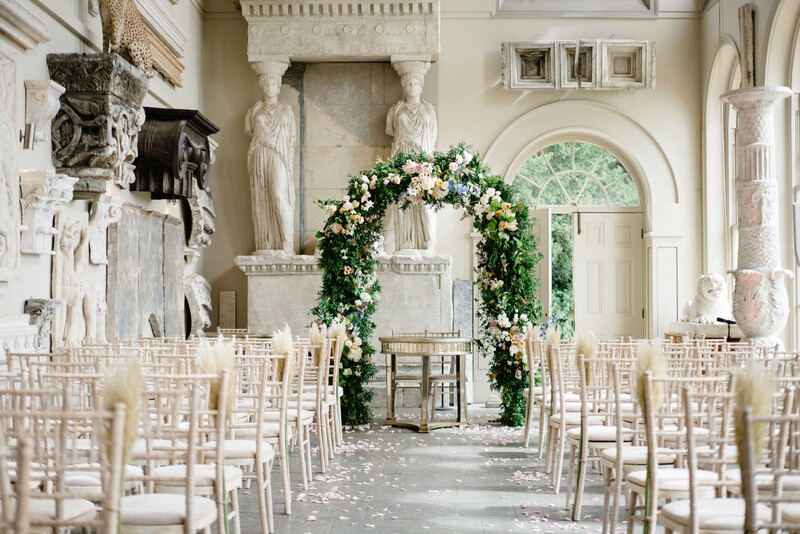 We placed the flower arch alongside Roman-style statues and other sculptures within the room. 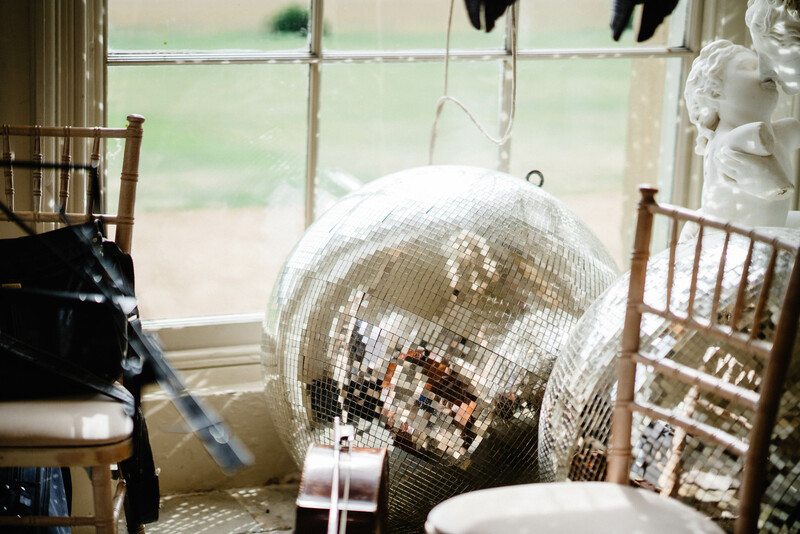 As the venue is located within the stunning British countryside in Banbury, in Oxfordshire, it was important for the arch to reminisce the countryside feel. That is why we ensured a full, green and lush floral installation was built. 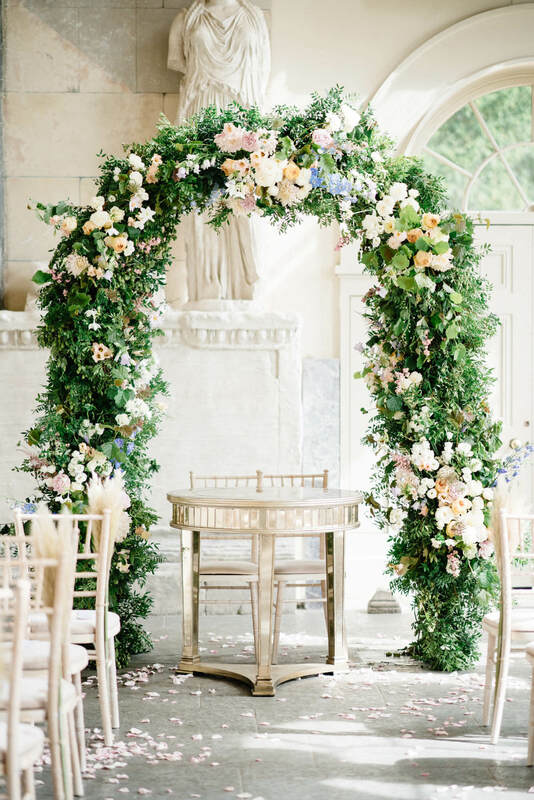 The arch was complemented with various seasonal flowers including roses, eustomas, campanulas and dahlias. 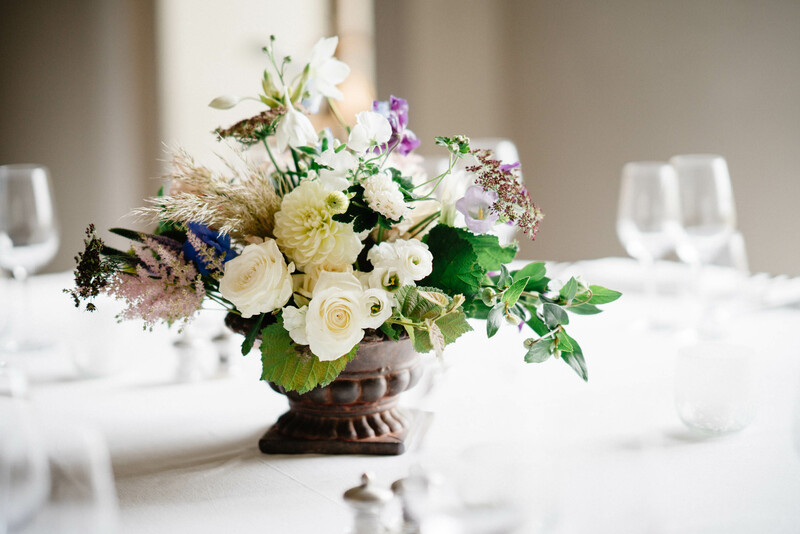 Delphiniums were also added to create a subtle splash of blue which the couple asked to have within all the arrangements. 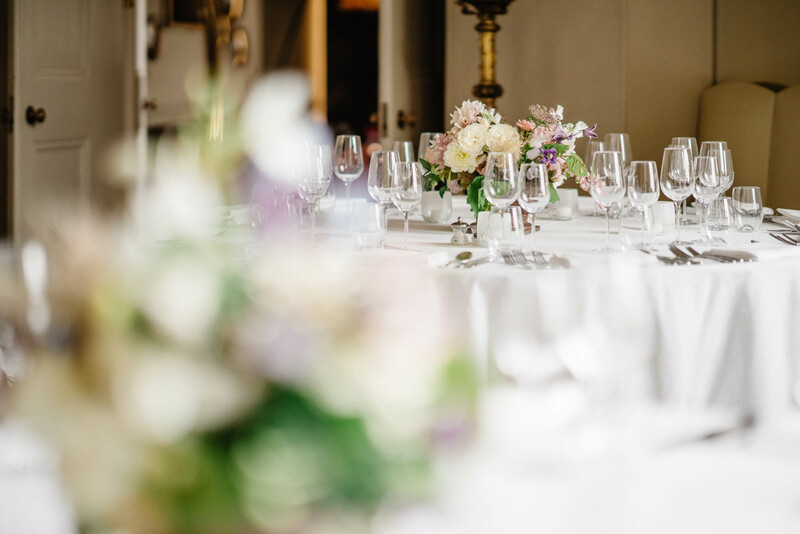 The centerpieces for the dinner tables were composed of the similar elements found in the arch. 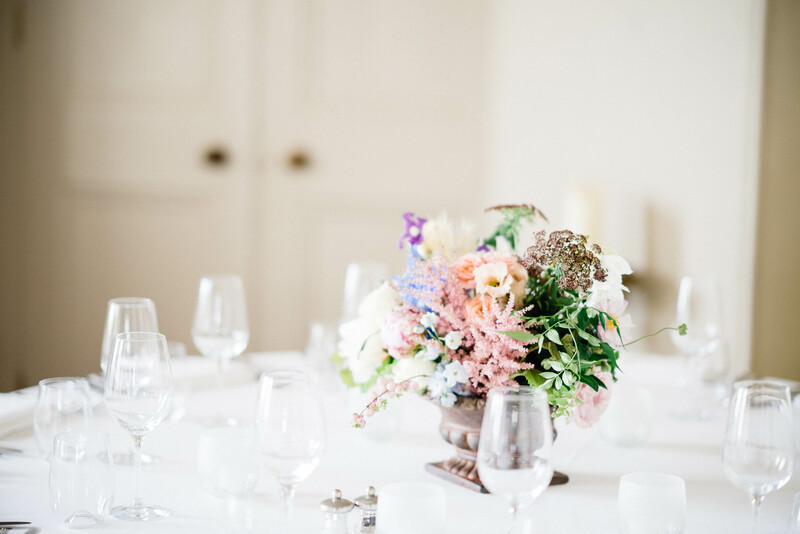 With only small foliage,the centerpieces were a burst of flowers, which enlightened all the dinner tables. 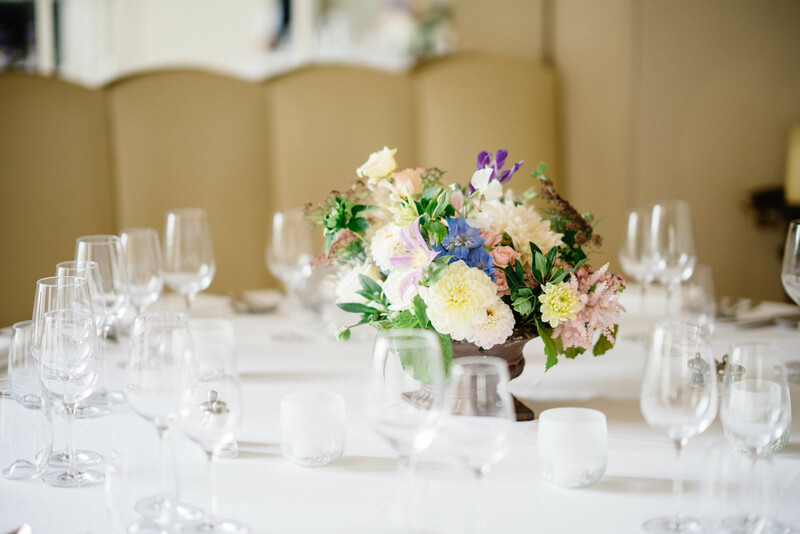 More delicate flowers were also added within the centerpieces such as sweet peas and eucharis. The centerpieces sat in a stone Roman-style urn. 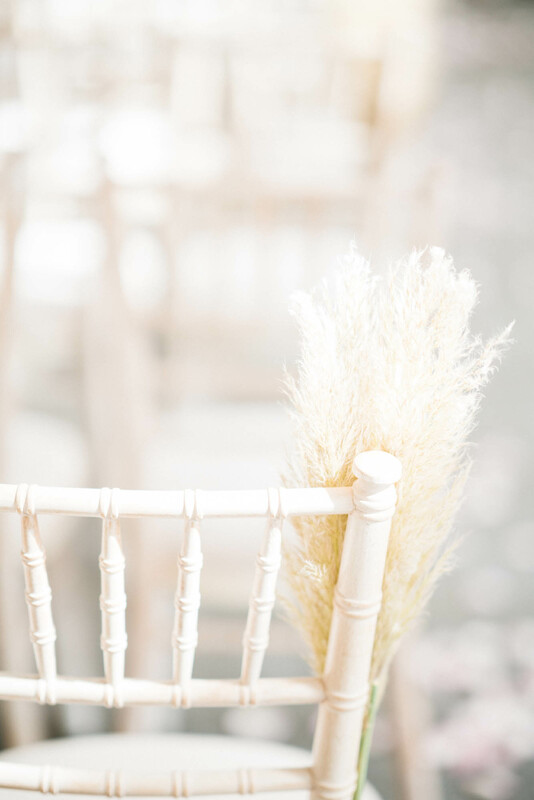 Pampas grass was also another element which the couple wanted to be present. 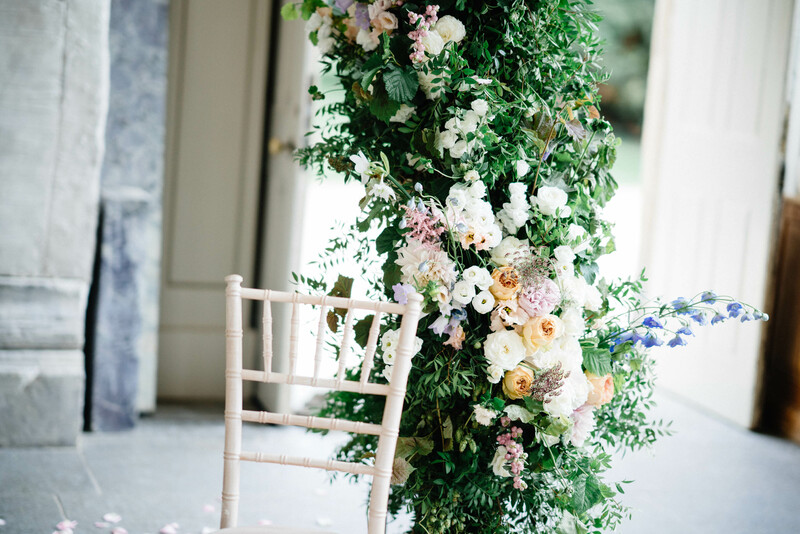 These were thus added to the centerpieces and also adorned the rows of chairs as aisle markers in the ceremony room.